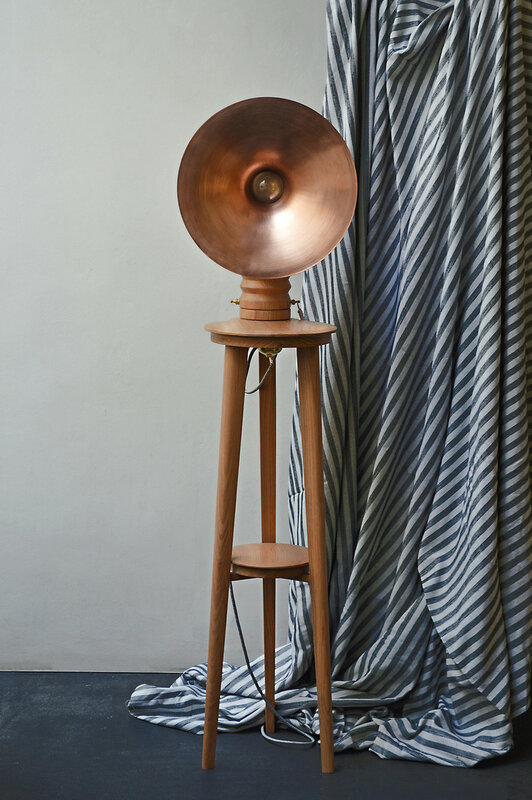 this lamp draws inspiration from the gleaming gramophones of the early twentieth century. it reinterprets them to illuminate spaces with its brass and copper screen creating soft light and reflections. it is a dramatic conversation piece, light and sophisticated. it transports us to the rooms where social gatherings were enlivened by the gramophone's rough sounds. now, rather than its music, it is its silhouette, its presence, and its shine that appeal to us. white american oak, brass, copper, resin.